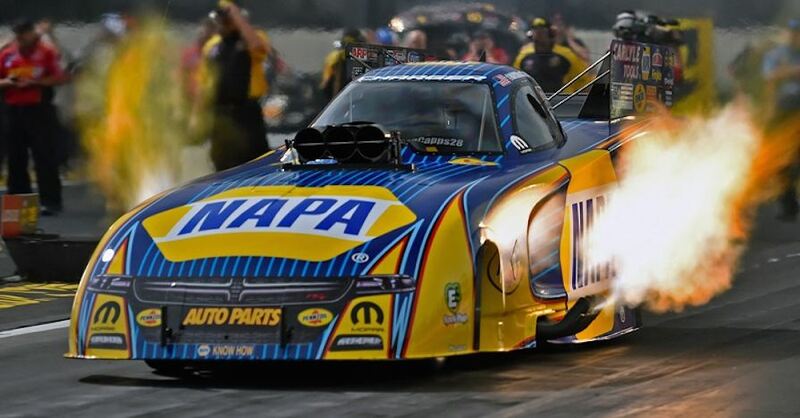 Don Schumacher Racing headquarters in Brownsburg, Indiana is home to the NAPA AUTO PARTS Funny Car team. 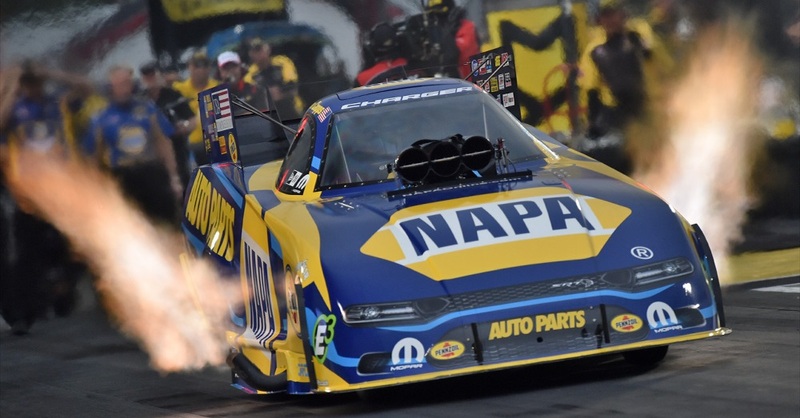 Ron Capps has the job of piloting the 10,000 horsepower NAPA AUTO PARTS Dodge Charger R/T funny car down the drag strip, but he’d never be able to fire a single cylinder without the Don Schumacher Racing crew behind him. While Rahn Tobler calls the shots as Crew Chief, a small army of crew members each have their own very specific jobs to make sure the car is on the mark for race day. Check out the video below as Don Schumacher himself walks you through the absolutely massive 150,000 square-foot Don Schumacher Racing headquarters facility. Why such a big building you ask? Well, they create over 400 of their own parts using 21 CNC-machines in the machine shop alone! Making your own speed parts is a time honored hot rodding tradition. Back in the day it wasn’t odd to cast your own intakes or make your own adapters. Now parts as complex as entire engine blocks can be computer designed for a very specific purpose and machined right in the shop. The machine shop is now, as it was then, the heart of the racing team. 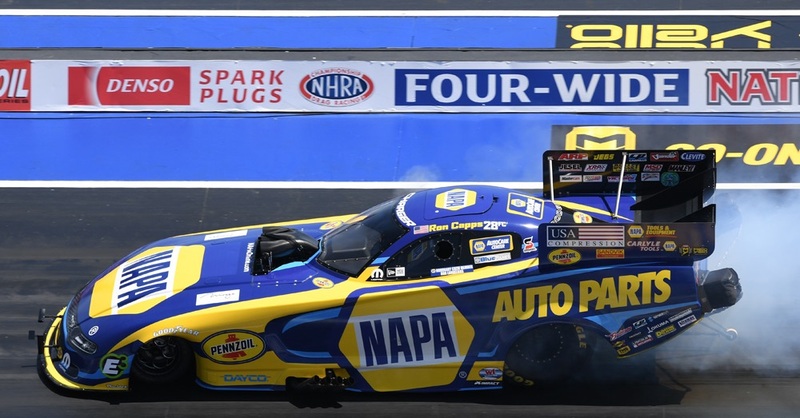 When you need a new funny car or top fuel car, you can’t just run down to the local dealer. That’s why DSR makes all of their chassis in house. Using a precision jig, the fabrication team builds multiple top fuel dragster or funny car chassis for each team. The fabricators provide a primary chassis and a backup chassis, while also maintaining them to ensure consistency during every single run. 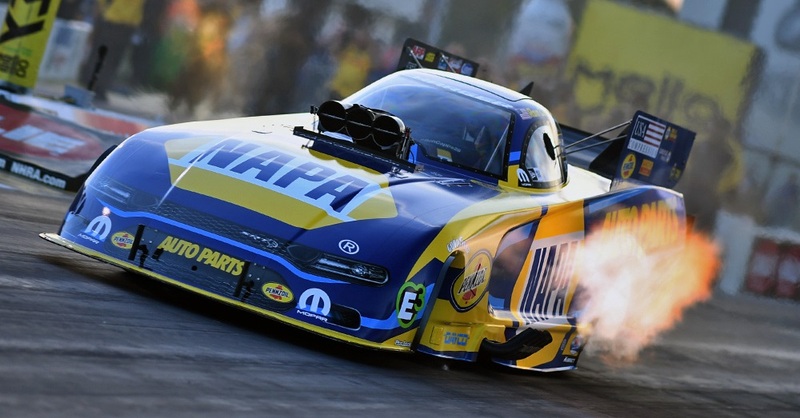 There is also a complete carbon fiber shop to maintain the funny car bodies, which tend to take a beating on their 300+ mph journey. Inside the shop there is enough room to house over 20 tractor trailer trucks. Each team needs two rigs to carry all the cars, parts, tools, and other pieces necessary for an event. The support crew spends over 200 days a year on the road every year! But it is a labor of love for the Don Schumacher Racing crew. 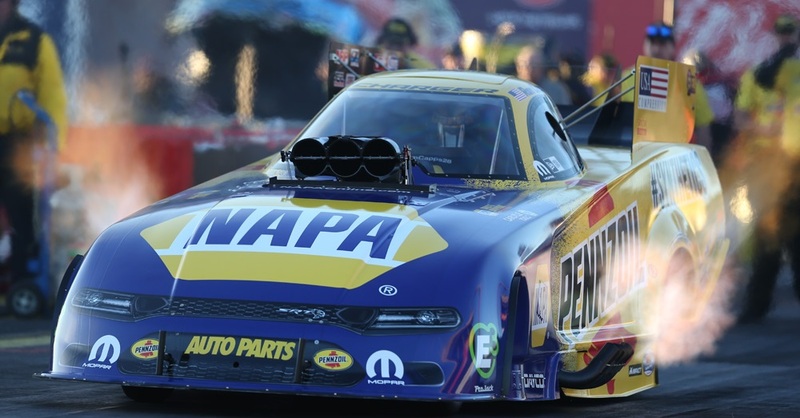 To see Ron Capps and the DSR team in action, check out the NHRA racing schedule for an event near you. Transmission Fluid Change Tips: When Is It Time for a Refill?